Evenings of festive musical merriment return this month as London’s leading River Bus service MBNA Thames Clippers brings back its series of live acoustic performances from the capital’s top buskers. 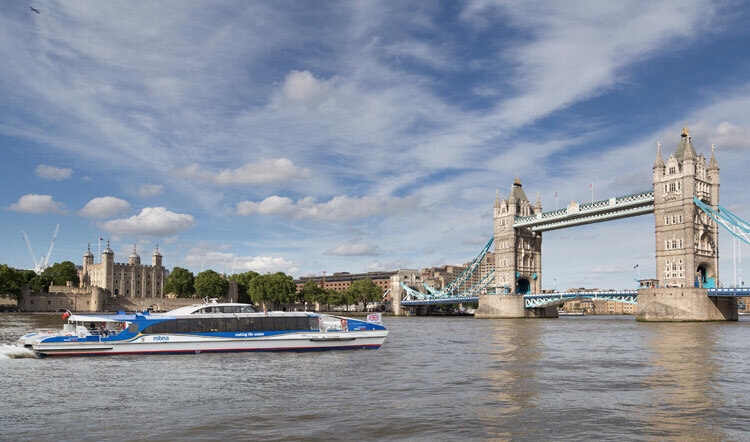 Last year’s sessions received rave reviews, so the 2017 MBNA Thames Clippers’ ‘River Lates’ sets on 19 and 20 December 2017 are sure to be popular. The hour long floating Christmas festival sets from Transport for London accredited buskers will take place on selected MBNA Thames Clippers services to Woolwich. Passengers can enjoy well known carols and popular festive hits while gliding through the heart of the capital and marvelling at the sparkling lights of London’s legendary nightscape, included in the cost of your season ticket or for as little as £5.40 (Single Central Zone fare for Adult TfL Travelcard holders). All attendees will be treated to a complimentary mince pie to tuck into onboard. Joining the existing timetabled services, the musicians will join the RB1 sailing departing Embankment pier at 21:30 on 19 and 20 December and perform a one-hour set. Whether enjoying the on-board entertainment with a mulled wine from the bar or getting into the festive party spirit, passengers can cruise for the whole set or enjoy a few tunes as they travel between piers.